Thank you to Disney for inviting me to a screening so I could write my Delivery Man review. All words and opinions are my own. When I saw the first trailers and sneak peeks of Delivery Man, I have to say that I was intrigued. Finding out that you had 533 kids would be kind of mind-blowing. What would David Wozniak (Vince Vaughn) do with that news? 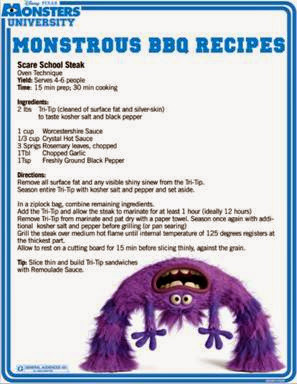 BBQ Recipes and Tips from #MonstersU and #DeliveryManMovie Happy 4th! Happy Independence Day! Hope you and your families are all enjoying nice weather (unlike the rain we’ve had here all day), some good food, and exciting fireworks. 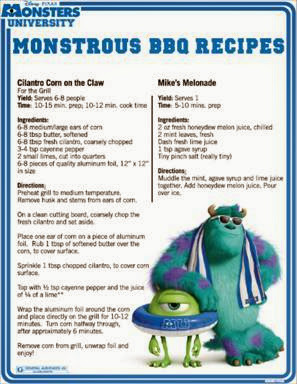 If you’re grilling out you may enjoy these BBQ recipes from our friends at Monsters University. Monsters make good grill masters, don’t they? Click the images below to download recipes for Roaring Ribs, Scare School Steak, Cilantro Corn on the Claw and Mike’s Melonade, plus learn how to make a Mike Wazowski Watermelon! Click each image below for the downloadable copies. As an adopted child, I learned from the time that I could understand the concepts that a family is made up of the people that you love, and that love you back. It’s not blood ties, it’s not living arrangements, it’s not where or when or how you were born. It’s a connection. This theme of family origins and the definition of exactly what is family is central to the upcoming Vince Vaughn movie Delivery Man. This Week’s Entertainment News: New Movies, Trailers, and Even a Sweeps! Looking for this week’s entertainment news? Well, here it is! 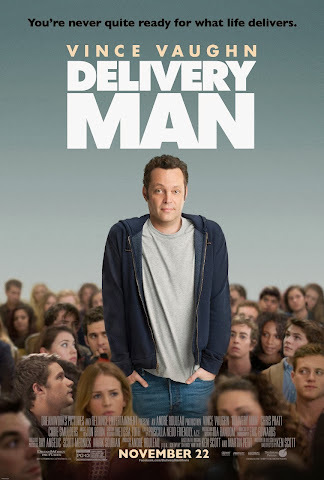 Great films from Disney, Pixar, and DreamWorks – including Delivery Man which also has a current sweeps. Read on for more info.